See the future, and the future will see you! Recognition of outstanding communicators with creative approach and innovative visions on the future of communications! To be given to individuals with huge influence on the improvement of communications and truly effective contribution in fostering new trends in the development of the communications industry worldwide. Long-listed candidates apply via due entry form (please request it at: forum@forumdavos.com) filed upon due recommendation by a Board-representative of partner-associations for the current year or by a member of the Committee that coordinates WCF-Davos “Communication on Top”. Short-listed candidates are selected via monitoring of the received applications and any adjacent documentation describing the nominated case or the nominated person. Final voting procedure is executed by the members of the Committee for WCF-Davos. The winners receive a trophy of excellence and the right to a participation as a Special Guest in the next main annual edition of the World Communication Forum in Davos “Communication on Top”! C4F Davos Awards Ceremony & Gala Dinner 2013 took place on 7 February, in Garden Hall 1, at the Morosani Schweizerhof Hotel, Davos, Switzerland. We live in the New Renaissance era, when a new type of people emerge – people, who are creative in every aspect, available 24/7, committed to the high business and ethical standards of true global leaders. Some call them multitaskers, but we consider them to be the re-born Leonardo-s, the new Titans of our new epoch. Gianni Catalfamo received the C4F-Davos "Titan of the Future" award for his contribution as a true Digital Native and Founder of cc:catalfamo (Italy) - "the boutique specialized in Digital & Social Media Leadership programs" founded by him in 2012, or in short - for his work as a Blogger at Son of Geek Talk. 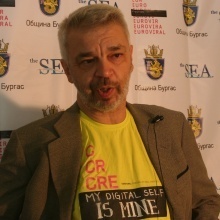 In his professional career he has been the Web 2.0 evangelist for Pleon Europe, as well as co-leader of the European Technology Practice. He has also been in charge of the International Accounts of Pleon’s largest technology clients: he led the IBM Account for Europe for 4 years and the European Account for Lenovo. Gianni believes that our Digital Self belongs to us, and to us only! It should be "Ours, Portable, and Safe". Visualization has become the language of the future. Nominees for this award are professionals who create stunning images and develop the visual communications of the future. Alfred Koblinger received the C4F-Davos "Image of the Future" award for his great contribution as a leading expert in the Marketing & Advertising business sector worldwide. Fred Koblinger, as they usually call him, is the CEO of BBDO Holding (Austria). 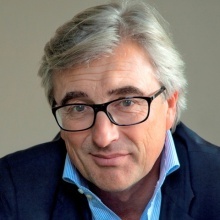 Once undoubtedly the pioneer of Direct Marketing in Austria today is one of the most senior ad personalities in Austria and well respected internationally. He is frequently giving speeches at Worldwide Marketing & Advertising Congresses and was twice jury member in Cannes, in 2005 President of the Direct Lions Jury. He also led the juries for Eurobest in 2006, in 2007 at the Dubai Lynx Awards and in 2009 at the Spikes Awards in Singapore. Not long ago we used the term New Media, while currently we often tend to mention Traditional Media and we witness rapid changes in the media industry as a whole, due to which we have become - more than ever - mobile, interactive and social. The award in this category is granted to those who foresee the next step in media development. Jason Ng received the C4F-Davos "Media of the Future" award for his outstanding pro-active work as a Blogger, Twitter activist, and start-upper: COO of geekpark.net, Founder of Twittalk.net, in Beijing, China. He admires creativity and productive genius and he believes there is no age-limit or an other boundaries to that. 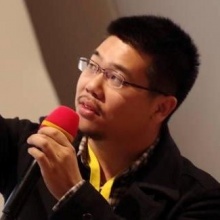 He is the owner of Kenengba Blog, with over 70000 subscribers, and he has a Twitter account with over 30000 followers + accounts in almost all social networks in China. Corporations usually define the state of economics, while corporate communications help to build up competitive advantages. This award recognizes the masters in Reputation Management, Crisis Communications and Corporate Social Responsibility. Anne Villemoes, received the C4F-Davos "Relations if the Future" award for her exquisite sense of humour and willingness to passionately defend her company’s core business. 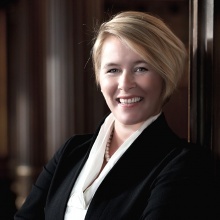 She has spend the last five years changing the reputation of one of the largest companies in Denmark - Anne is Head of Corporate Communications at Danish Crown (Denmark). Nominees for this award are representatives of the innovative, creative economy, where communicating what does not yet exist has become a key factor in the development of adequate communication environment for innovations. 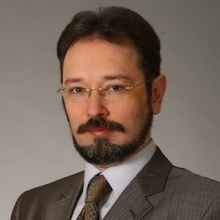 Evgeny Kuznetsov received the C4F-Davos "Idea of the Future" award for his top professionalism as Director of the Development and Communications Department at Russian Venture Company (OJSC) and his constant efforts as a leader who has strived for establishing specific communications between science and business communities and executed a variety of projects in this area. Due to be granted to key figures and thought leaders for their contribution to the communications industry, as per WCF-Davos standards. 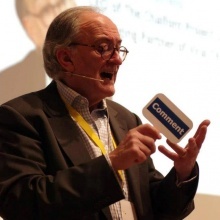 Dr. Leandro Herrero, the CEO of Chalfont Project Ltd., Managing Partner of “Viral Change” (UK), received the "C4F Grand Davos Award" in recognition of his inspirational contribution to the world of business and communications through his insight shared in the "Viral Change", a best-seller and simply THE manager's handbook on how to create sustainable change in organisations.